After record breaking rainfall, spring has sprung here on Observatory Hill. We've got the door to the shop swung open and are enjoying the warm weather. We can finally hear some birds chirping which got us thinking about our beautiful iittala Birds by Toikka collection. These birds originated way back in 1973 with Oiva Toikka's small Flycatchers and this unique series continues today. 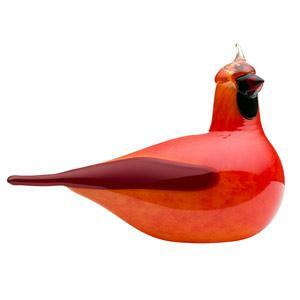 The birds are created in Nuutajarvi, Finaland where skilled glassblowers bring Oiva Toikka's vision to life. Click on the images for details or visit our website to view the full collection. Did You See Us In Apartment Therapy?